Mobile broadband rentals is one of the fastest way to get broadband connection speeds - without being tied to a cable or phone jack. BMI can get you online from pretty much anywhere with a cellular signal. Whether it be used for work or play, long term or short term, you live in a remote area or urban - stay connected with BMI's mobile broadband and take advantage of the efficiencies and flexibility of mobile internet service. Contact BMI by phone at 800-485-5006 with any questions or to set up an account. Start taking advantage of the Mobile Internet at broadband speeds today! BMI utilizes the nations largest 3G and 4G wireless networks to offer the most comprehensive mobile broadband coverage available. You can lookup your coverage via our address locator tool. Make the most of wherever you are ... get everyone on the same page ... always stay connected ... stop searching for hot spots ... show customers real time information ... consistent access to company and client information. Go wireless and get the BMI Mobile Broadband Advantage! BMI includes the Mobile Broadband hardware with our rental plans. The hardware varies depending on the network and the service that you order. All hardware is shipped directly to you with return shipping package. Returning the rental hardware to BMI is very easy. Simply put the device in the return envelope and drop in the mailbox. We will stop the billing on your account when we receive the hardware. Place your order online and we ship the USB rental device to you via US Postal priority. Product should arrive 2 to 3 business days after ordering. Mobile Broadband Rental allows a user to connect to wide-area wireless Internet access. The devices are also known as Evdo cards, data cards, 3G and 4G cards, and mobile broadband cards. How do I setup the mobile broadband rental device? First install the software that is included on a CD in your rental package (less than 5 minutes). Complete instructions are provided. Second insert the device into your computer USB port. That’s it – you are ready to go! We provide FREE technical support by chat, IM or over the phone. Phone support is available 24/7/365. How can I tell how much data I’ve used? The software will tell you how much data you use when you connect. Which computers and operating systems do the devices work with? Can I use the rented device outside the United States? No, the device is for use only in the United States. Yes, if the USPS delivers on Saturday in your area. BMI includes a pre-paid/pre-addressed return envelope along with the rental package. Please return both the CD and the device. Allow three days for USPS delivery at the lowest shipping rate possible. There is no cancellation fee. There is a $25 restocking fee if the device is returned without using it. We accept automated payment via debit or credit card only. What if I break or if I lose the device? There is a $150 fee if the device is lost or broken. 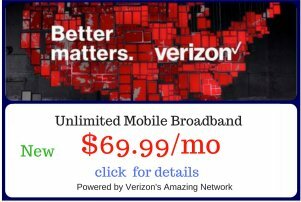 Order your mobile broadband rentals online or over the phone.